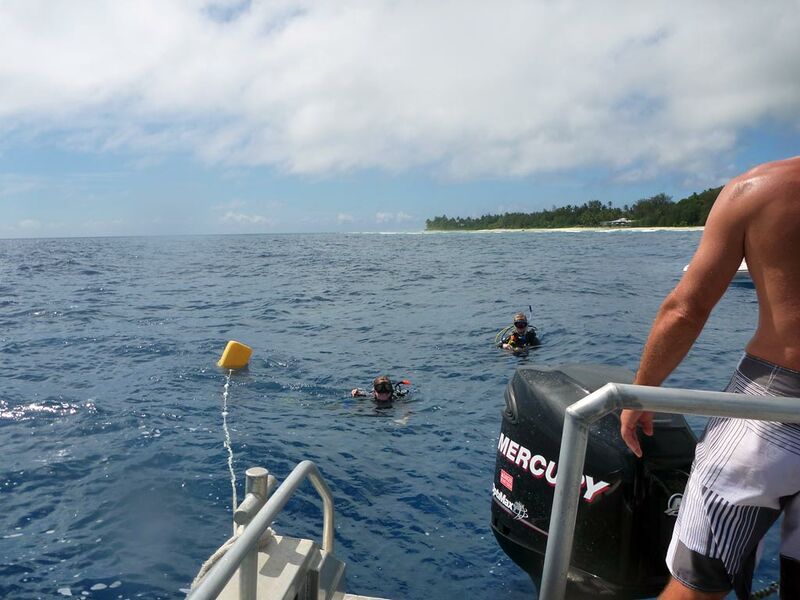 "Friendliest Dive Centre in the Cook Islands"
We are the leading certifying dive centre in the country, offering a wide range of internationally recognised diving courses and qualifications. 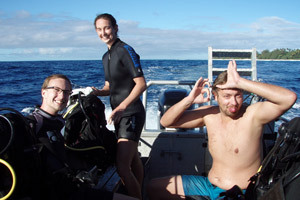 At Dive Rarotonga we offer quality diving in a fun and friendly atmosphere - so whether these are your first bubbles, you are already qualified and you are diving for fun, or you want to progress your professional diving career, we have dives to suit you! 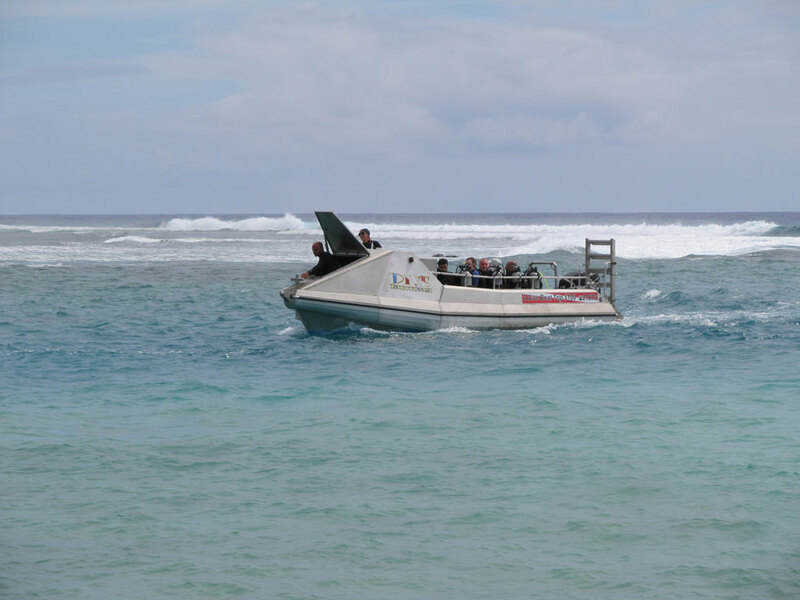 Dive from our new 7.5m dive boat named ‘Evolution’, designed by a New Zealand marine architect in conjunction with real divers to suit all your diving needs. 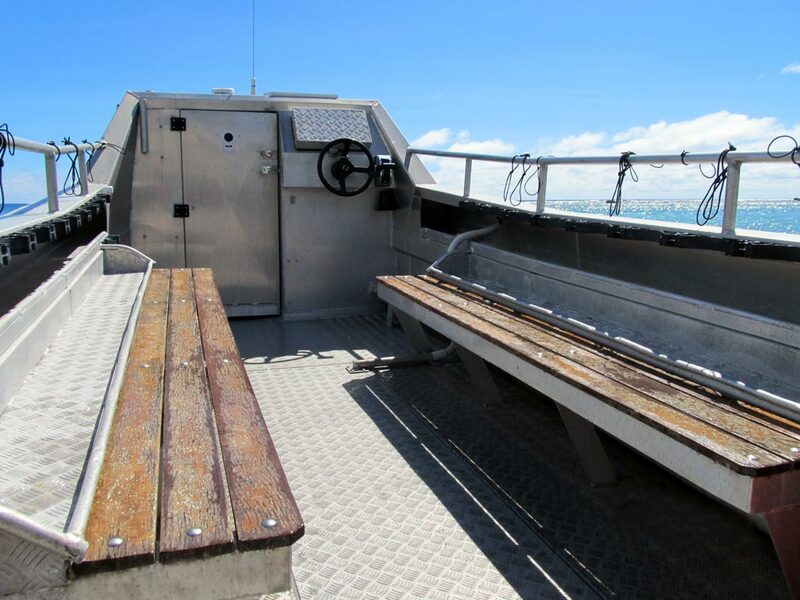 'Evolution' was built with safety and comfort in mind, the hull has pontoons that reduce roll, comfortable seating, tank racks and hand rails. 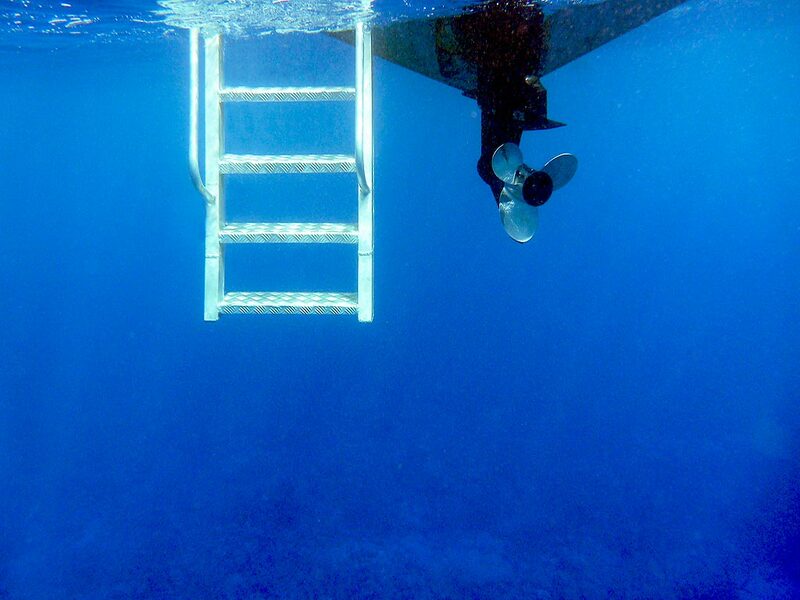 There’s a safe swim platform at the back for your giant stride entries and a big ladder with handrails to make getting back aboard just as easy. Our boats are equipped with standard safety gear and we also have GPS, marine VHF, EPIRB, life-jackets, oxygen and first-aid on board. Apparently, when it comes to boarding ladders - size matters! 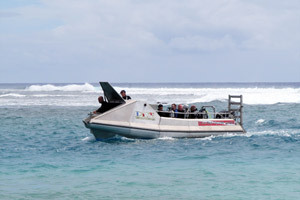 Our boats are manned while you dive ! We don't just claim it, we actually do it ! 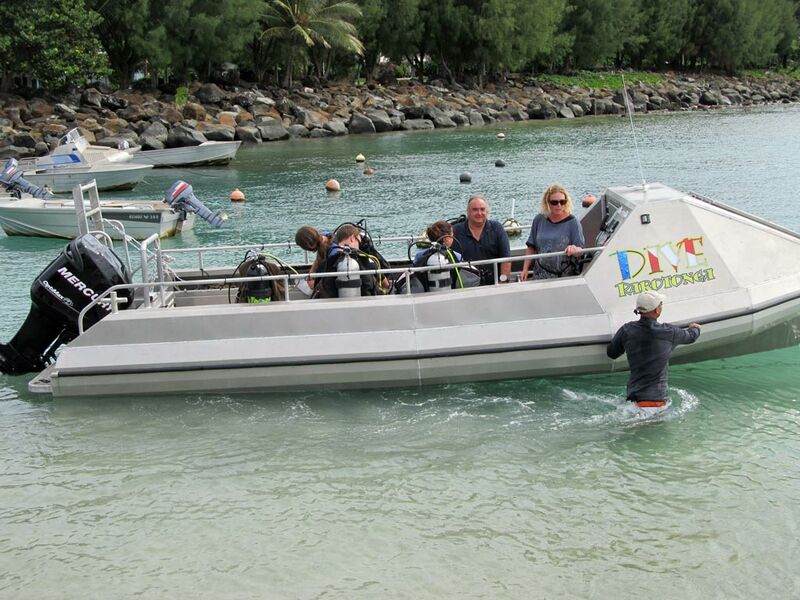 We man our boats on every single dive with a qualified Boatmaster while you are underwater. Our skippers are also rescue trained and are all experienced highly qualified instructors. 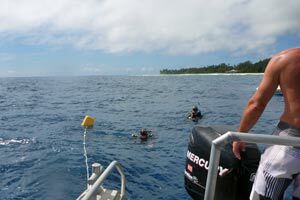 Their job, for your safety, is to keep watch while you are guided underwater by a second instructor. 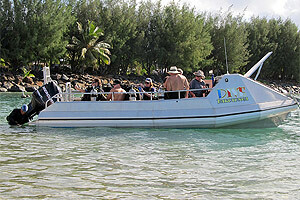 We guarantee it won't be a trainee driving or manning the boat while you dive! Learn to dive: 3-4 days is all you need to complete your Open Water Diver course with us, just complete your theory online before you travel. 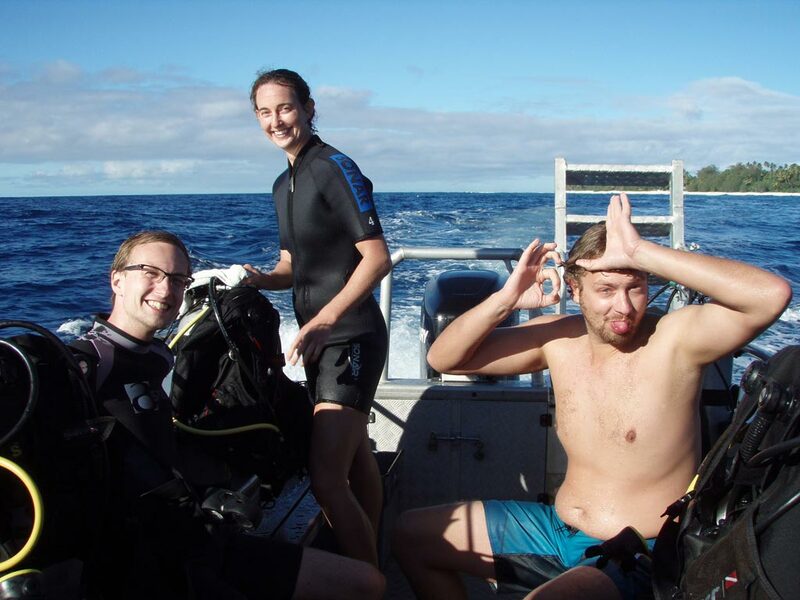 This also means the time learning to dive during your valuable vacation is for in-water, not sitting behind a desk! Do the theory in the comfort of your own home, at your own pace.